We hear it every day: the more successful an agent gets, the busier their day becomes. And, trying to stay connected to the people in their network is stressful. At First we like a challenge so we gathered feedback from our customers and have worked to deliver an experience that’s even easier to use, more proactive, and completely dedicated to supporting an agent’s professional relationships. Think of it as a virtual personal assistant that’s always available — in the office or on the go. 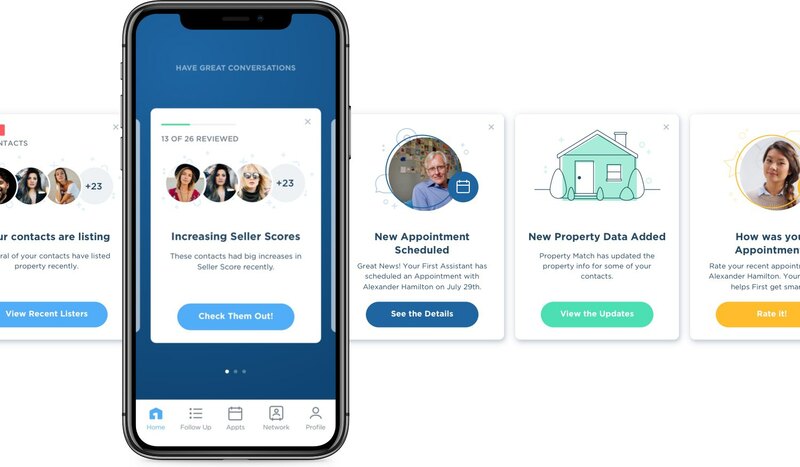 At the center of that experience is the mobile app, a dynamic place for the agent to get insight into the people in their network and actionable recommendations for how to stay in touch. Intuitive, easy-to-use navigation keeps the agent’s priorities and pipeline in their pocket. 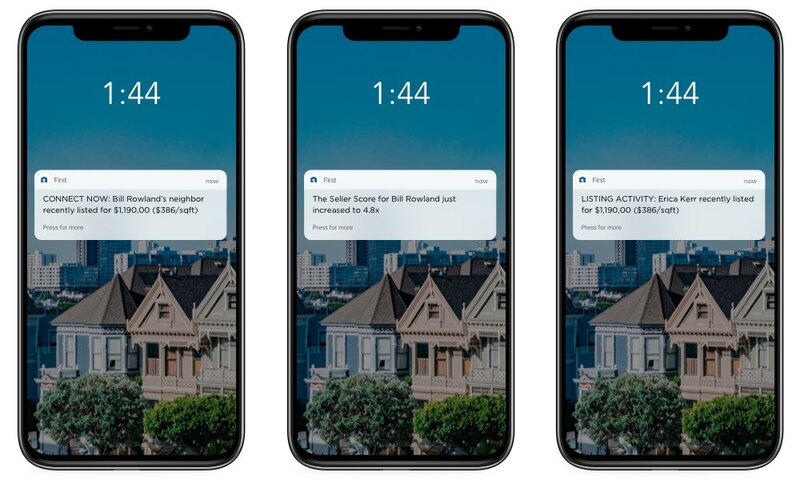 Proactive notifications signal when there’s activity in the agent’s network that reveals a potential opportunity — a true advantage in today’s competitive market. Proactive notifications keep agents informed on the go. We’ve also made it easier than ever to upload contacts so that everything lives in one place. We have access over 700+ data points for each contact and we fill in property addresses and augment holes in the data. ‍Simple, one-click appointment scheduling requests. We do this behind the scenes to take the burden off the agent...just like a personal assistant. Guided by customer feedback, we’ve simplified every aspect of the app, focusing on clear actionable steps. 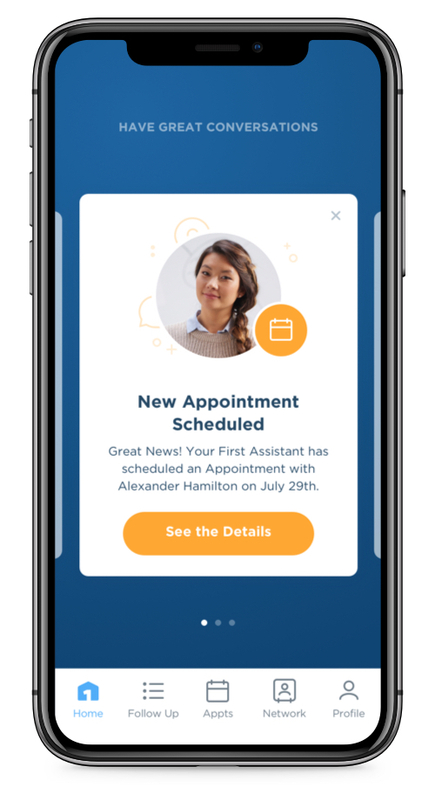 For example, because we know that just telling agents who to stay in touch with isn’t enough, we’ve made scheduling appointments easy to save agent’s time. 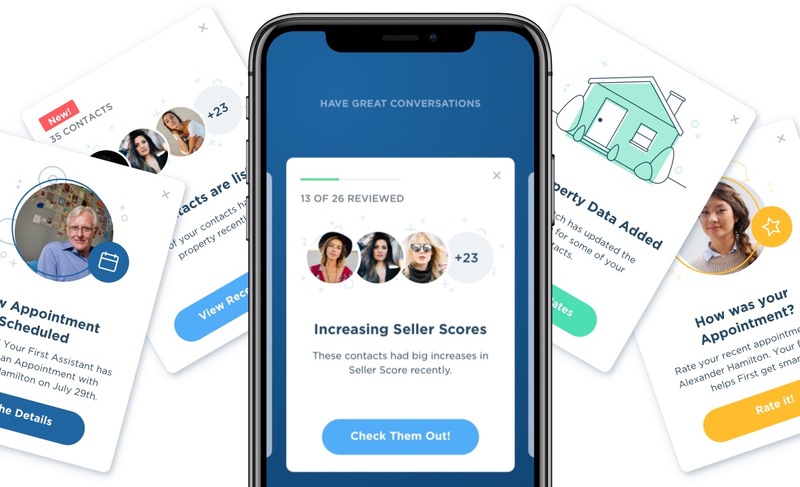 Check out the First Conversations app to see all of the improvements. We’ve even included a brief video highlighting all the ways that this virtual personal assistant can help agents get more organized and consistently stay in touch with the people that will fill the pipeline. If you don’t already have a First account, click here to request a demo or simply download the app on the App Store or Google Play and make the request there.